Paul Wellstone gone? Someone so full of life, of exuberance, of zest, of desire to do good by his fellow man–gone in an instant on a drizzly day right here in the Northland? Can't be, you think. But it's all too true. I knew Wellstone the way a home-state journalist is likely to know a U.S. Senator. Since he was elected to the Senate, we saw him a couple of times a year. He'd come through for a visit with the editorial board, updating us on what was going on in Washington. Always upbeat, often passionate about what he believed in, the interviews–chats, really–with Wellstone were something we looked forward to. Politics aside, I liked him personally. I admired his resolve to stand up for what he believed in. I first met Wellstone in 1982 when he ran for Minnesota state auditor–and lost. Aching to be a major player in the liberal political traditions of his adopted state, the then political science professor at Carleton College in Northfield ran for a state constitutional office, probably seeing it as a stepping stone for bigger and better things to come. I don't think he'd have made much of a state auditor, although he'd have worked at it. The job would have bored him. Wellstone had bigger things churning in that brain–a passion for helping people who need help and a conviction that government should do what it can to make people's lives better. In short, he was a liberal. The word liberal has become a pejorative in some (conservative) circles. 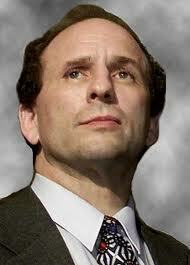 Those who disliked what Wellstone stood for know he was, perhaps, the most liberal member of the Senate. Wellstone wore that label proudly, unashamedly. On the occasion of another of our editorial board meetings, after he'd been elected to the Senate, the subject of health care came up. Wellstone felt strongly that America's health care system was broken, and of course he was right. It still isn't fixed. In our conversation–four of us around a table–he became so impassioned about the subject that he began to tear up. The rest of us, all male, became uncomfortable at his emotional display, but I never forgot it. And, reflecting on it, I could see that was what was best about Wellstone. He really felt what he believed in. He truly was a “bleeding-heart liberal” in the finest sense of that often cynical description. The world needs bleeding-heart liberals, and Wellstone filled that bill almost better than anyone else in a position to help shape American policy. Finally, on another visit with us, I went to the newspaper's lobby to greet him and guide him to our meeting room, and as we walked up the stairs I noticed that his shoes–loafers–were shot. I mean shot. Hobos heating bean cans over fires in railroad yards had better shoes. Long cracks across the top, exposing his socks beneath, shabby soles. Wellstone wasn't a bit abashed. He muttered something about not having time to worry about shoes–too much to do and too little time to do it in. I later wrote a column about the senator's shabby shoes, but I never heard from him about it. Still too busy. We had another editorial board meeting scheduled with Wellstone, this one Friday afternoon, to talk about the newspaper's endorsement in the Senate race this year. An airplane crash intervened. He was dead, along with his wife and daughter and others on the plane. As the gray day wore on Friday, and details kept pouring in, for some reason my mind kept going back to those tattered shoes. Who will fill them? No one quite like Paul Wellstone, whose unlikely life journey took him to the place where his death could affect the balance of the U.S. Senate at a time when the nation appears to be poised for a war he opposed, and when so many other issues remain unresolved that need a committed liberal voice. Life goes on, but for the time being we'd better put it on hold for a truly good man who was more concerned about providing shoes for those who couldn't afford them than what he wore himself. Click HERE for today's MPR story by Dan Kraker. 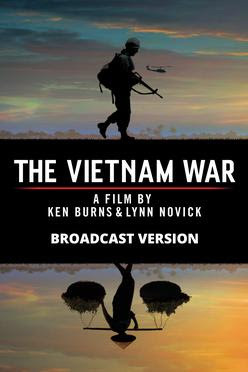 I’ve been watching the gripping PBS documentary “The Vietnam War.” I might have been drafted to serve in Vietnam — I was the right age — but I escaped that through a college student deferment and later enlistment in the Minnesota Army National Guard. So I am able to sit here today, now a senior citizen, unscathed by direct involvement in that terrible war, a war so vividly and unsettlingly recalled nightly on the television documentary and fought by so many of my contemporaries. For the most part, I also missed the gravity of the goings on in Southeast Asia at the time, but not entirely. I was in my mid-20s in the mid-1960s, a fledgling journalist, still single, intent on having a good time, although I was obligated to be a “weekend warrior,” as National Guard personnel were often called. Still, there was the niggling concern throughout that President Lyndon Johnson, so intent on “winning” in Vietnam, might actually resort to activating National Guard and Army Reserve personnel, safely training in their home towns — towns like Duluth. He never did call us up, though, much to our relief. The PBS documentary pointed out that he didn’t dare: opposition to the war, already mounting, would become too great. So we — the we being those of us in uniform one evening a week or one weekend a month and for two weeks of active duty camp in the summer — rode out the war safely at home while many others of our generation were wading through rice paddies and crawling through jungles and dying on battlefields half a world away. 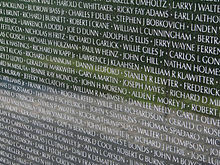 There’s a wall in Washington bearing the names of the 58,000-plus Americans who didn’t make it. 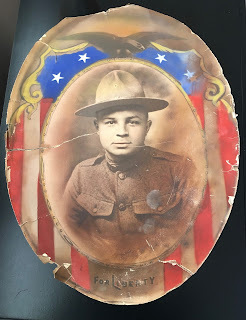 But the war did hit me in a striking manner during one period of my home-front military service. Midway through my six-year obligation, I transferred from the Army National Guard unit operating out of the Duluth Armory to a U.S. Army Reserve unit headquartered on Park Point (in a building still in use). Because my work as a newspaper reporter often conflicted with regular unit meetings, I was allowed to make up those meetings at various other times, working in the unit’s office with permanent reserve personnel for a few hours. I was a typist in my regular duties, and the Army always had plenty of typing to do. More typing than shooting. Off in a corner of our “orderly room” (Army jargon for office) was a desk occupied by an officer not directly associated with our unit. 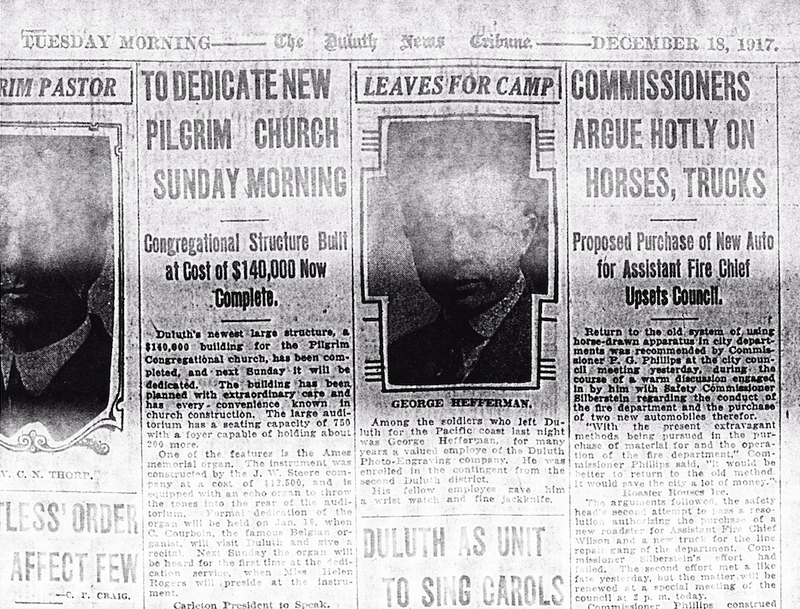 He was a regular Army officer, a career man with the rank of captain, assigned to the Duluth-Superior area to carry out a grisly task. His last name was Wood (I don’t recall his first name), known to us and addressed by us as Captain Wood. Captain Wood kept largely to himself, not mixing it up much with the Reserve troops. And he’d be there sporadically when I was, his desk occasionally empty for the day. I learned quickly why Captain Wood was often missing. It was his job to inform immediate survivors — usually parents of soldiers from this area who had been killed in Vietnam — of the deaths of their sons. In that period of our military history, parents of soldiers were not told of the deaths of their sons by telegram or other means. An Army officer, usually accompanied by a regular-army sergeant, drove to the homes of the dead soldiers’ parents and other loved ones to inform them in person. That was what Captain Wood was assigned to do in this region, along with helping survivors arrange for burial and other details. And during the time I was an observer of his activities, he was kept plenty busy. Someone in the orderly room would inquire about Captain Wood’s absence on any given day and be told he had gone to Ashland or Hibbing or Ely or to homes in Duluth or Superior to tell parents that their sons had lost their lives in Vietnam. While I didn’t get to know Captain Wood well, I being a flunky enlisted man and he being an officer, I was in his presence quite often and I don’t think I ever saw him smile. A small man, with dark hair and eyes, always in a neatly pressed Class A (dress) uniform, he had good reason to be somber, to be reticent. Away from the battlefield itself, I can’t imagine a more stressful military duty. And it showed on Captain Wood. 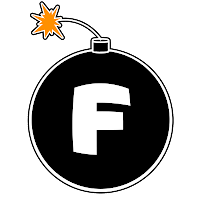 Bombs have been in the news a lot lately — the N-bomb, the F-bomb, Michael Moore’s Broadway show (bombed). Now the United States and North Korea are staring each other down over North Korea’s bomb plans. In many, many decades of life, I have found that living is more tranquil when bombs are not in the news. I’m old enough to actually remember the dropping of the A-bomb on Japan, bringing World War II to an end. 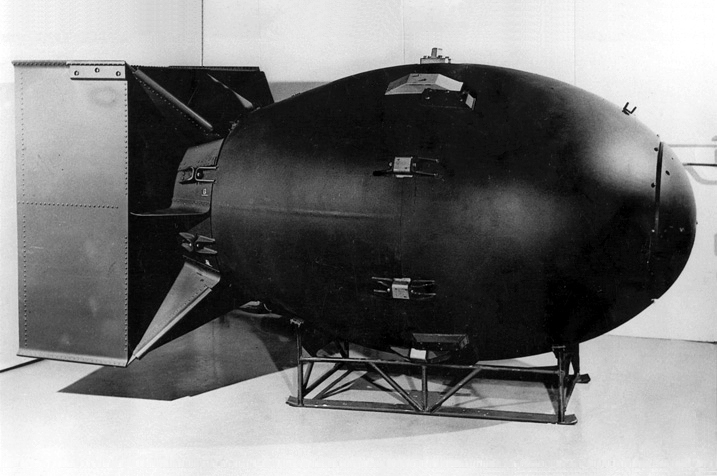 The A-bomb (for Atomic) is the father of the N-bomb (Nuclear). Somewhere in there to further scare us are the H-bomb (hydrogen, stronger than the others) and another N-bomb (Neutron), which only kills people but leaves buildings standing. Drop a neutron bob on New York City, for example, and Trump Tower would remain standing. Not so much its inhabitants. 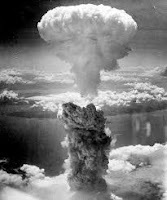 I was 5 years old when atomic bombs were dropped on Hiroshima and Nagasaki. News of it was everywhere, and even a child of kindergarten age understood that it was something terrible, frightening. I can recall my parents talking seriously about it at supper, ignoring the Lone Ranger on the kitchen radio in the background. The whole idea of such a big bomb frightened me. And here’s how it manifested itself on one occasion: I was playing on our front porch when a huge bomb-like object suddenly appeared in the sky above western Duluth. It terrified me. I ran into the house screaming to my mother that the atomic bomb was coming. She darted onto the porch and saw immediately what it really was: a blimp (a.k.a. dirigible). Not the Good Year blimp, just an ordinary blimp that looked an awful lot like a great big bomb. My mother allayed my fears, explaining that it was a harmless aircraft. Not to worry. As time went by, the atomic bomb became kind of a fun thing for kids. One of the big breakfast cereal producers—General Mills, maybe Kellogg’s—offered kids an “Atomic Bomb Ring” for 25 cents and a box top from one of their cereals. I got one. It was an adjustable metal ring with a tiny plastic bomb on top. If you held the bomb close to your eye, inside the bomb you could see something like sparks flying. Wow. Of course the threat of an atomic attack prompted the schools to add atomic bomb attack drills to fire drills. I learned later that some schools in the country had the kids “duck and cover” beneath their school desks. We just filed into the hall and stood facing the lockers lining the wall until the all clear. This was not nearly as much fun as a fire drill, which required us to file outside the school in orderly fashion and breathe the fresh air of a beautiful day. You could say atomic bomb drills bombed in comparison. Oh yes, the F-bomb. Got to deliver on that. It was brought to the fore recently by short-lived White House communications director Anthony Scaramucci in an interview with a New Yorker magazine reporter during which Scaramucci dropped several F-bombs, shocking nearly everyone and probably resulting in the loss of his job after serving just 10 days. I had actually learned the word several years before. Right around the time the A-bomb was employed for the first time, I learned what is today referred to as the F-bomb stood for. A neighbor boy and I were in the alley next to my home (these things always happen in alleys) discussing various swear words and their seriousness. They were all bad, of course, but “hell” and “damn” didn’t seem like they would bar you from getting into heaven, should the occasion arise. A few others were more serious—you know what they are without my actually spelling them out. Then my friend (we weren’t close, though) said he’d tell me the “worst” swear word of all. It was what we today refer to as the F-bomb. And he was right. It has endured as the worst swear word of all throughout the many, many decades of my life. Oops, we’re back to square one. Editor's note: We learned to "duck & cover" in the 50's. Check out the video the Dept. of Education and civil Defense Dept. prepared for those of us growing up in that era HERE. The other day I heard our president, Donald J. Trump, refer once again to "hard-working Americans." He isn't the only politician to describe all Americans all the time as hard-working. They all do, both Democrats and Republicans. Even independents. This is nothing new. The expression spills out of politicians' mouths in practically every speech, and always has. It's as though all Americans are hard-working, which, of course, cannot be assumed. I am not a hard-working American--I'm retired--and I have to admit, when I stop to think about it, I never was particularly hard-working. In fact, when I was young it was feared, and occasionally charged, that I might be "lazy." But once I entered the work force, I'd work hard enough when it was expected of me, but if I could get out of hard work, I'd do it, even when I had "odd" (really odd) jobs. In my principal career I was a newspaper writer, which I never regarded as hard work. 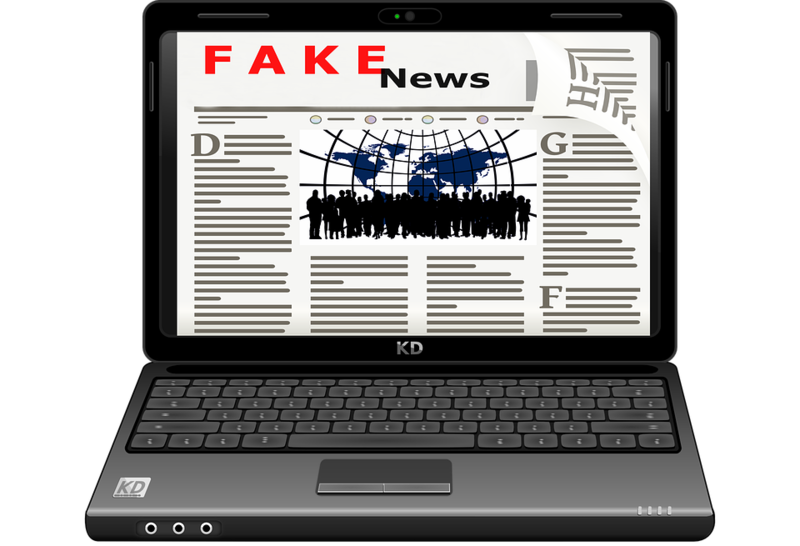 How hard can it be to write fake news? Fake news was one of my favorite things to write. Not in the actual news columns of the paper, where fidelity to the truth and accuracy were stressed, but I wrote a lot of fake news in a personal column under my name, and had fun doing it. 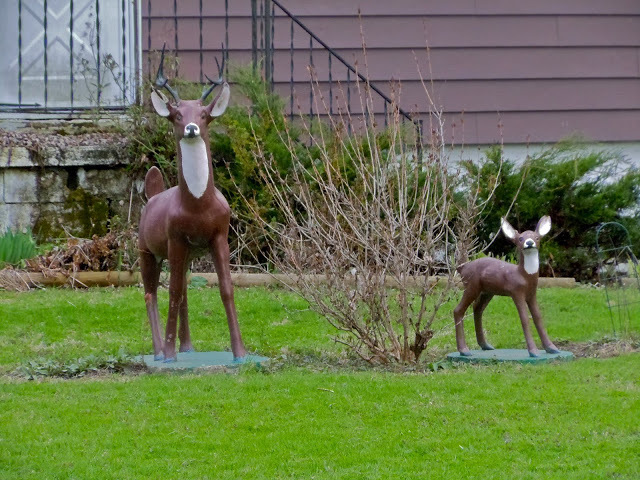 Once I wrote a fake news column claiming that local archers allowed to hunt deer in the city were shooting their arrows into those plastic (fake) deer you see in some people's yards. Totally made up. Fake news. But the column got picked up on the Internet, went germ, if not viral, and some people around the country believed it was true. I got a call from a radio station in Illinois asking for an interview. The caller was crestfallen to learn it was fake news, although the term wasn't used back in pre-Trump hard-working America. You could say my phone "rang off the hook" in response to that fake news column, just as politicians always use that phrase in describing constituents' responses to this or that issue. "My phone rang off the hook," they'll say, especially when describing constituent reaction to measures the opposing party has advanced. I'm old now, so I know very well what they mean by "off the hook," but how many Millennials can conjure up the image of an old crank telephone attached to a wall with the receiver holding down a hook? A sizable portion of hard-working Americans don't even know what a traditional receiver looks like, what with such widespread i-phone use. I go all the way back to the "number please" era of call-initiating. OK, let's move on to the rolling up of the sleeves. Most of the politicians who are serving hard-working Americans, and whose telephones are ringing off the hook, "roll up their sleeves" every time they vow to actually do something. "We've got to roll up our sleeves and get to work" on this or that, they say. Now I realize these are metaphors seasoned with a large dose of cliche, but harmless enough as figures of speech. Same for all of the "brave heroes" serving in the military, or veterans who have left it. It cannot be assumed that everyone who signs up for a stint in the military is either brave or heroic. I was once in the U.S. Army, and I was not a brave hero, and, come to think of it, I don't think anybody I was serving with demonstrably was. Sen. John McCain is a brave hero, of course, everyone except President Trump agrees. Yet to politicians all service members are brave and heroic, even if they sit in offices before keyboards, as I did in my military days, with an occasional foray into the mess hall for KP (kitchen police). There were times when that required a certain amount of bravery, I have to admit, depending on the dispositions of the mess sergeants. There! I've been going to get this off my chest for a long time. Not that there was anything actually on top of my chest, mind you. It's just an expression, a harmless metaphor with a dose of cliche tossed in. 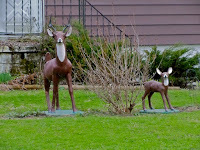 Want to read the plastic deer column, originally posted in the Duluth News Tribune in 2005 and reprinted on this blog in 2009? Read it HERE. And a reference to someone wondering if the plastic deer column was a hoax :-) read HERE. 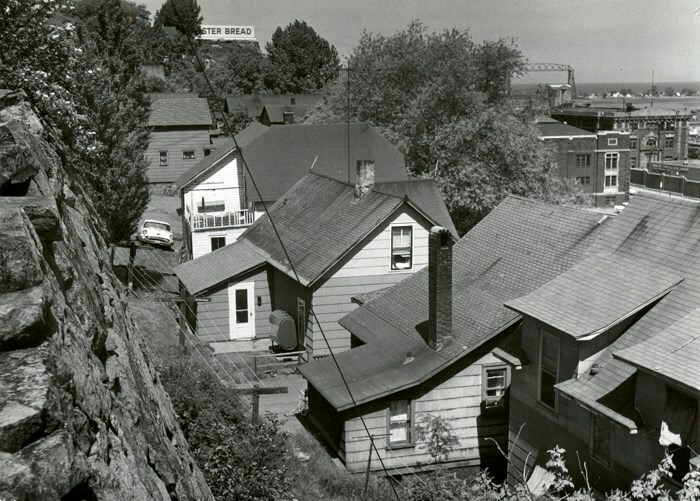 For decades atop the Point of Rocks, the commanding rock outcropping just west of downtown Duluth at the foot of Mesaba Avenue, a huge sign advertising Master Bread dominated the skyline. It was more than an ordinary billboard. It appeared to have been fashioned to fit the surroundings, long and narrow at the peak of the outcropping, and it was animated, showing a loaf of bread with slices pouring out of one end. Done with sequentially lighted neon tubes, it was attention grabbing and impressive for its day. And it had greater significance than the bread wars between Master and Taystee, both baked in Duluth’s West End neighborhood (now referred to as Lincoln Park). 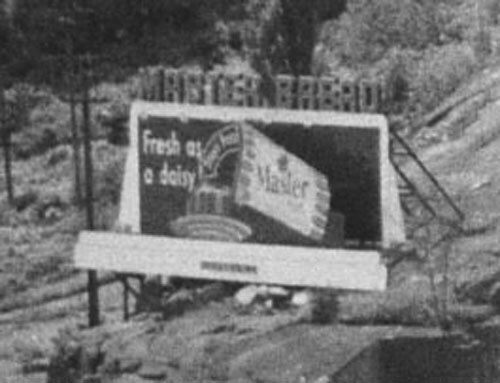 The Master Bread sign came to symbolize the western end of “East End” (including downtown) and the beginning of “West End” including West Duluth. Only on the map did Lake Avenue divide Duluth’s east from its west. In Duluthians’ minds, the Point of Rocks, with its Master Bread sign, did. The prevailing perception in Duluth was that the rich people lived in the East End, the working classes lived in the western precincts, and never the twain shall meet, except when their high school sports teams vied to prove, once and for all, which section of the city was best. It was a fallacy, of course, to believe everyone in East End was rich. Far from it. But all of the mansions in town were there; the mining and lumber tycoons lived there, cheek by jowl with bankers and most doctors and the powers that were in Duluth. Never mind that the Central Hillside, a bit east of the Master Bread sign, was for decades considered Duluth’s poorest neighborhood. I grew up on the “poor” side of the Master Bread sign that so brightly lit the Point of Rocks after the sun went down. Not that we were actually poor, nor were most of the others in the western neighborhoods. Far western Duluth had a steel plant, after all, together with other substantial industries, and the thousands of jobs they provided allowed workers—including immigrants and many who hadn’t completed high school—entry into what most people regarded as the middle class. Being middle class roughly meant owning a home, having a car and providing for your family. My role here at Zenith City will be to write about the western Duluth neighborhoods as I recall them in the decades after World War II. 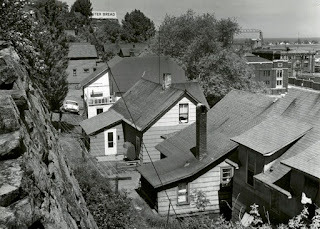 My precise neighborhood was the West End, right in the heart of it, about half way between the Point of Rocks and the ore docks at 35th Avenue West. Informally, the ore docks have always represented the dividing line between West End and West Duluth. There was competition between those two neighborhoods too, but socio-economically they were similar. Each had a thriving business district, providing residents with everything they might need from groceries to hardware to banking to household and personal needs, not to mention a stiff drink. J.C. Penney operated department stores in each neighborhood, as did Bridgeman’s ice cream parlors. The West End had more furniture stores; West Duluth more movie theaters (two) while each had two funeral homes for most of the years my memory encompasses. Each neighborhood had numerous churches representing most of the mainline Christian faiths, but no synagogues. 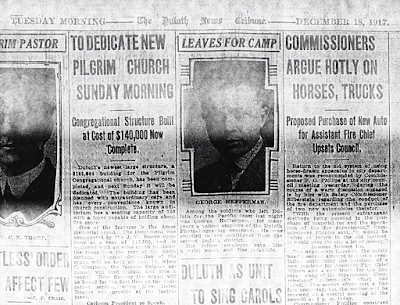 West Duluth had a small hospital, long-since dissolved, but people from the western precincts who needed hospital care depended, as did the entire city, on St. Mary’s (Catholic) and St. Luke’s (Protestant), both on the eastern edges of downtown. Commandingly, West Duluth had Denfeld High School, for generations bringing together students from both neighborhoods whose earlier education had been provided at Lincoln Junior High (West End) and West Junior High. Until 1950, the West End educated its younger pupils at elementary schools scattered throughout the neighborhood—Adams, Monroe, Bryant, Ensign and Lincoln. West Duluth had Longfellow and Irving and others farther west, but short of Morgan Park and Gary New-Duluth, with their own schools, including a high school. In future columns I’ll try to extract from these neighborhoods glimpses of their colorful past life —a life I knew as a youngster and much younger adult, when Master Bread meant more than the staff of life in this small corner of our world at the head of the largest freshwater lake in that world. Previously published on Zenith City Online on January 15, 2016 and 2012.